Tehran, Feb 3, IRNA – There are no restrictions on presence of private sectors of the US, Europe and other countries in Iran, said Deputy Minister of Economic Affairs and Finance, Behrouz Alishiri on Monday. 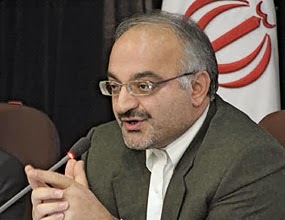 Speaking to reporters on the sidelines of a meeting with a French delegation of industrialists and entrepreneurs who are on a visit to Tehran to explore ways to promote economic relations with Iran, Alishiri said in the past few months different European countries have negotiated with Iran. He added that US companies are also sending signals. Alishiri who is also the head of Organization for Investment, Economic and Technical Assistance of Iran said Iran is seeking sustained economic relations with foreign investors and has no restrictions in this regard. Iranian market with its high capacities has encouraged foreign companies, French ones in particular, to resume ties with Iran. The deputy economy minister said the French delegation which is composed of the country’s big companies has found out the ground is prepared for presence in Iran and is hence ready to invest in the country. Alishiri said that cutting ties with Iran has inflicted heavy losses on foreign companies, adding that two French auto-makers Renault and Peugeot faced crises after leaving the Iranian market. He said that the French delegation to Tehran includes companies active in different fields such as auto-making, oil, gas and petrochemical industries which are seriously pursuing negotiations with the Iranian side.